Haunted Houses all over the country have a formula they like to use to scare you and get your money every year. It starts out with a creepy entrance followed by a lot of different scenes which tend to incorporate zombies, mental patients, clowns and other scary creatures. Typically the last thing you experience is a guy with a chainsaw chasing you out as you exit as you leave the haunted house. This has been pretty much standard since 1974 when Texas Chainsaw Massacre came out in theaters and millions of people became aware of Leatherface and his chainsaw. Now Poison Props is adding their twist on an old favorite in 2018 with the Leatherface Chainsaw Lunger. Check out the video below. This prop is creepy. Can you imagine walking into a dimly lit haunted house and seeing Leatherface carving up his next victim as a strobe light goes off behind him? That’s pretty crazy. But wait there’s more! Imagine the sheer terror you feel when he jumps over the table and comes right after you with his bloody chainsaw! 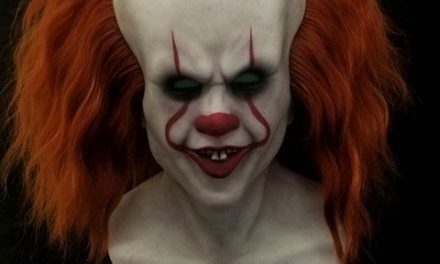 Poison Props designed the prop to jump out five feet as his head and arms turn side to side to make him look as realistic as possible. The Leatherface Chainsaw Lunger is a pneumatic prop and you will need an air compressor to make him work. 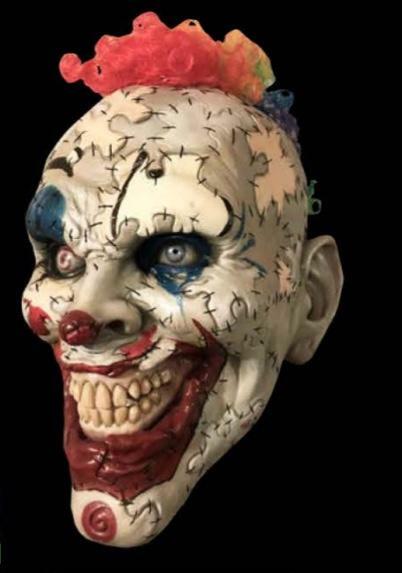 He’s not your typical Halloween prop you will see at Spirit Halloween or Halloween Express. 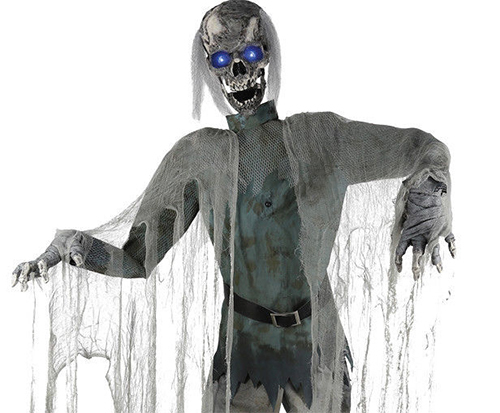 This prop is something designed for the high end haunter or a haunted house. If you want to pick up the Leatherface Chainsaw Lunger he’s not cheap. Poison Props has a reputation for making high quality props that last. Their creations have been featured in haunted houses all over the country for over 20 years. This prop costs $2,101.00–$2,900.00 depending on if you also want to purchase the table and/or victim as well as the audio for Leatherface and his chainsaw. You also will have to include $325 for shipping. It may sound like lot but the Leatherface Chainsaw Lunger is an investment, especially for legitimate haunted house owners. I probably won’t be able to fit the Leatherface prop into my budget this year but I can’t wait to see him up close when I hit some haunted houses in October.